Lombardy, the most populous and richest region in Italy, has long been a proud adopter and facilitator of natural gas as a fuel for transportation. Always striving for best practice, the region’s leaders have introduced new incentives to further build the regional NGV fleet. three-year exemption from the payment of the regional automobile tax for NGVs purchased in 2019, provided that, in the same year, the demolition of vehicles belonging to members of the same family unit is carried out; each vehicle demolished can be associated with the purchase of a single vehicle. a five-year reduction of 50% of the vehicle tax for NGVs registered and new to the factory, from 1 January 2019; for those who choose to scrap their polluting vehicle and replace it with a new or used car powered by Compressed Natural Gas (CNG) and rated EURO 5 or 6 emissions standard, the car tax will be reduced by 50% for five years. Cars fuelled exclusively by hydrogen have permanent exemption from motor vehicle tax. The initiative, part of regional policies for the defense of air quality and the fight against atmospheric pollution, contributes to the containment of particulate and nitrogen oxides in the atmosphere within the limits imposed by national legislation and Community. It remains open until 31 December 2019.
petrol / methane dual fuel or petrol / LPG vehicles, originally approved in the Euro 0 or EURO 1 petrol emission class. The vehicle purchased or purchased under leasing, new or used, must belong to the M1 category (intended for passenger transport, having no more than eight seats, in addition to that of the driver), with a displacement not exceeding 2,000 cc. Lombardy introduced incentives for the purchase of commercial vehicles powered by natural gas last October to support micro, small and medium enterprises. With a total allocation of EUR 6 million, grants ranged from € 2,000.00 to € 8,000.00 depending on the mass of the vehicle and the type of traction or power supply; for methane the Incentive goes from € 3,000.00 (vehicles 1-1.49 t) to € 7.000,00 (vehicles 7-12 t). The beneficiary companies must have an operating office in Lombardy and must purchase the new vehicle by scraping a vehicle owned for transport on their own account with petrol (category up to euro 1 / I included) and Diesel (category up to euro 4 / IV included) . Applications are open until 4.00 pm on 10/10/2019. DECREE No. 482 of 17/01/2019 identifies the procedures relating to the purchase and replacement of cars with modern NGVs – click here. 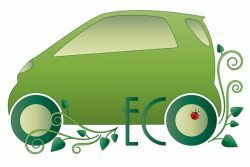 DG Environment and Climate, Dds 21 September 2018 – n. 13405 identfies the procedure for “Renew vehicles – contributions for the purchase of new vehicles for commercial use N1 and N2 with low environmental impact in favour of micro, small and medium enterprises” – click here.